India was introduced to whisky back in the British colonial period, just like with cricket. 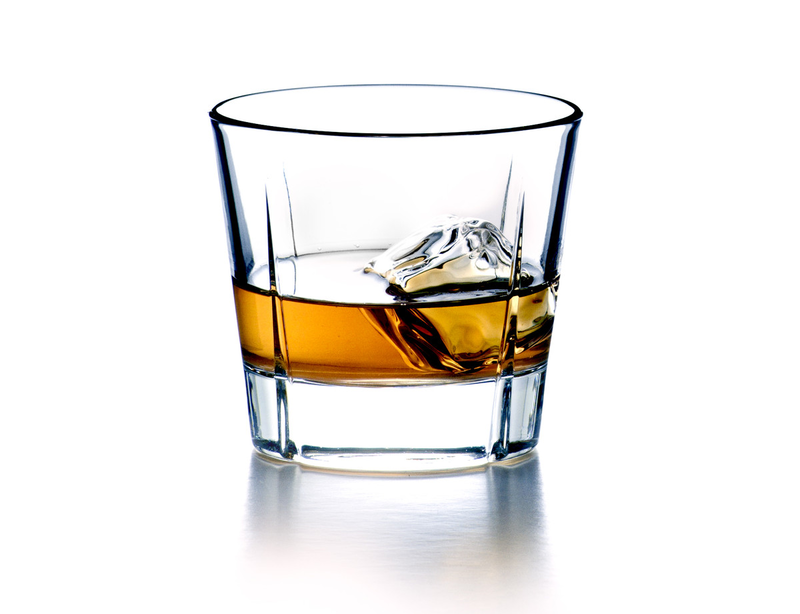 From past few decades the image of whisky has changed among the people living in India. People were very ignorant and hesitant towards this drink and also with its quality being better when it’s old. People surely used to wonder if it would be good after that. Now, if we talk about it people have become aware about its taste and are also educated about their different variants. May it be single malt or a blended scotch whisky; one can see the fascination among the whisky lovers and also their enthusiasm regarding the same. India is now one of the world’s fastest growing whisky markets with the estimated worth of $10 billion by this year, according to the trade group study. With increasing disposable income of middle class and especially among youth, the flair for whisky has grown not only for the locally distilled whisky but also whisky coming from all over the globe. Drinking foreign whisky in India is surely a statement of luxury, sophistication and prestige. Imported whisky brands like Glenfiddich, Johnnie Walker, Jack Daniels (my personal favorite ;)) leaves whisky lovers totally seduced. I remember the day when I first met Christian, Founder & CEO of St. ERHARD, at Munich Venture Summit 2012 where he shared his vision of bringing St. ERHARD to India and his experience studying at IIM Ahmedabad from where the idea of St. ERHARD originated. I was astonished and felt really proud to hear the same. India has always been a land of opportunities. Being a country with over one billion people, India has been successful in spreading the culture, values and traditions across borders. Also among the people who haven’t even been to India at all. I feel so proud of myself to represent my country out here in Germany and also in front of different people from all over the globe. 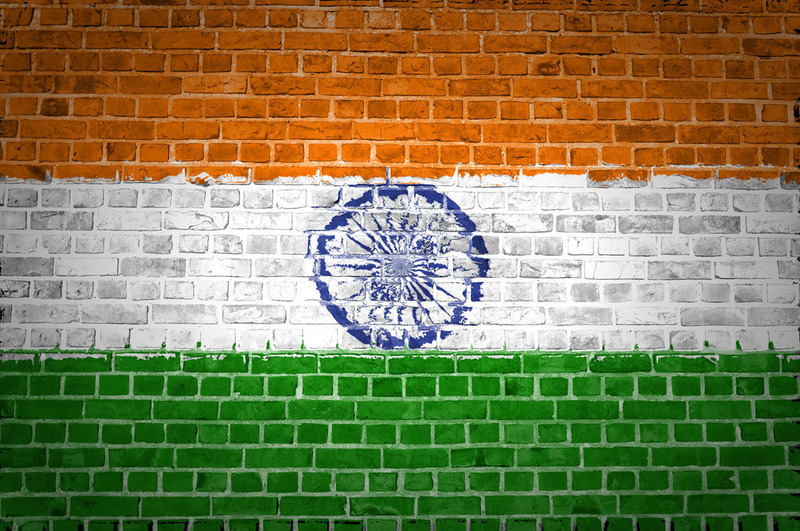 India represents entrepreneurial spirit, possibilities, businesses ideas and passion. St. ERHARD is surely a blend of all these aspects. India has been known for creating incredible brands and concepts. From past few decades this country has evolved and so has the whole corporate landscape. Organizations like TiE, NEN, FICCI, CII and many other entrepreneurial incubators have proved their success now and then in molding people and ideas into success businesses. Also educational institutes like Indian Institute of Management’s and Indian School of Business, Hyderabad and other esteemed institutions have been places where great ideas have generated and changed the way we see this world now. 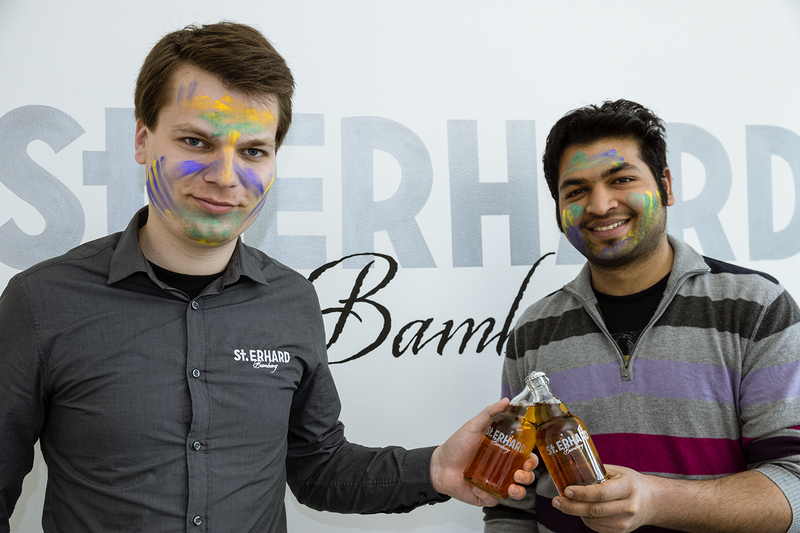 St. ERHARD being a very young, promising & a dynamic start-up, carries a niche with itself. Beer has been a synonym for Germany and its culture. This is what we plan to portray. The idea in the end is to see St. ERHARD become a synonym for premium quality German beer coming all the way from the heart of Germany. I know it might sound a bit strange that I had my first glass of alcohol a year and a half ago. It seems like yesterday and now I am associated with a very strong and an appealing beer brand St. ERHARD. I always thought of beer or for that matter any other alcoholic beverage as a normal drink but like a mentioned in my earlier post; my time here in Germany totally changed my perception about beer. Now, I don’t hesitate to say that beer in Germany is not just a drink but a pivotal part of German culture. This change in my perspective happened just a while ago when I started working with St. ERHARD and actually saw how beer was brewed and how much skill and precision is needed to brew a great beer. I would have never thought of the same while finishing masses of beer at Oktoberfest (I can say I was busy just drinking that time). I visited few breweries and I saw the whole process & ingredients used in making a beer. I was astonished and well as very happy to be a part of something like this in Germany. I know I am no expert with beer brewing but I would like to share my experience with you all as in how St. ERHARD is made and where it originally comes from. St. ERHARD is a typical Franconian Kellerbier (cellar beer) which is brewed in a very delicate way. Originating from the heart of Franconia in Bamberg region, it’s the area with the highest density of breweries in the world. Also the city of Bamberg isn’t just known for its beer brewing history but also for being a UNESCO world heritage. I was present when the brewing of St. ERHARD was done and saw how much focus was laid on small details including the amount of time and material added in. It’s very important as we want the beer to be ready to endure the climate change while exported to its respective place. Also, the special transparent UV protected bottle in which St. ERHARD comes in, adds an extra edge to the whole experience. This is something which is really talked about and appreciated (especially by females) 🙂 . 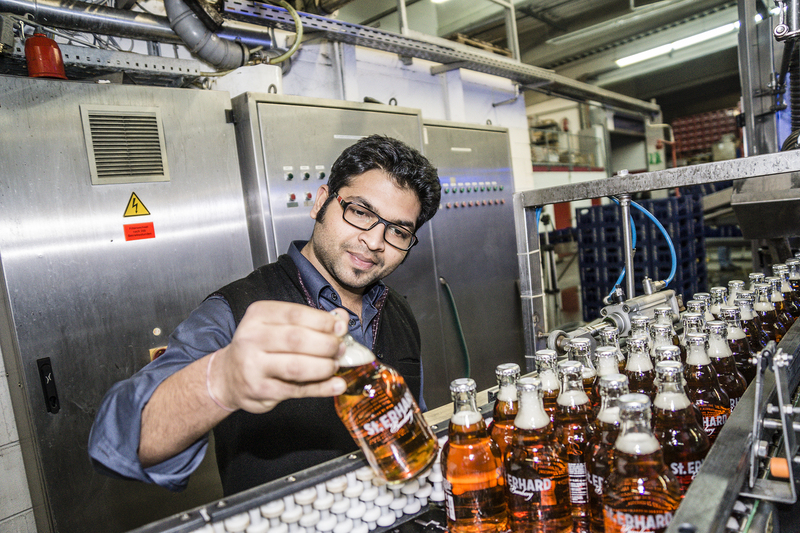 With the pure refreshing taste of Keller beer the idea is to take St. ERHARD from this small brewing paradise Bamberg to all across the globe. I would highly recommend you to be a part of this whole enriching experience of spreading the beer culture across the globe.